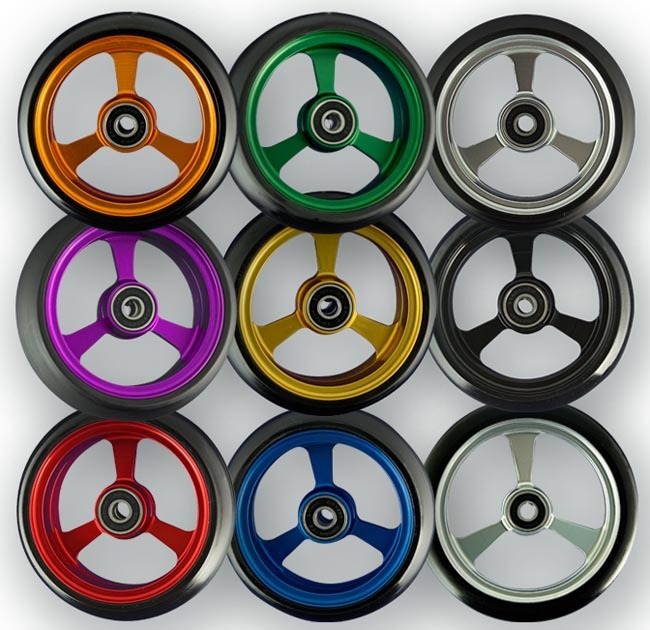 EPIC 3-Spoke ultra-light aluminium wheels feature a custom made billet 6061-T6 aircraft grade aluminium hub that is machine lathed for perfect balance. The highly resilient solid urethane tread will not go flat and is designed to minimize energy loss and absorb vibration. Arched tread design ensures the contact surface is spherical to improve pivot ability. The extra width better distributes downward pressure allowing the wheel to maintain higher flotation and does not sink into carpet, gravel, etc. Designed for those who want the ultimate smooth ride. The hubs are anodized to avoid scratches and scuffs. 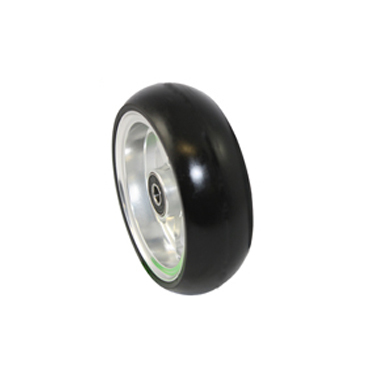 The castors have a 25mm hub width and are fitted with bearings suitable for a 8mm axle. Excellent castors , much smoother ride with these and some amazing colours ! highly recommend these, they will make a difference to your wheelchair.